Sit back as talented Old Town Trolley conductors share the history, attractions and sights of America's oldest city. Founded by Pedro Menendez de Aviles in 1565, St&period; Augustine is a unique city filled with colonial Spanish neighborhoods, magnificent buildings and a charm all its own. 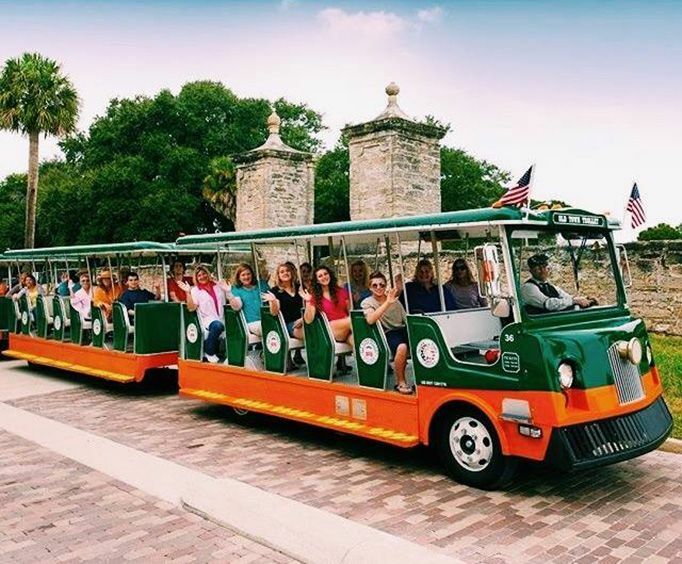 The trolley's expert guides will tell stories of the first Spanish settlers as you pass Castillo de San Marcos Fort which guarded the city against foreign attackers many years ago. Touch the sand where Ponce de Leon first stepped ashore, and take photographs of the amazing architecture of this ancient city including Flagler College, Ponce de Leon Hotel, and the oldest wooden schoolhouse. The 70-minute tour features over 20 stops and over 100 points of interest. Tour at your own pace with the hop-on hop-off feature that allows you to get off at any of our convenient stops situated close to all popular attractions, shops and restaurants. When you're ready, just re-board and it's on with the tour. 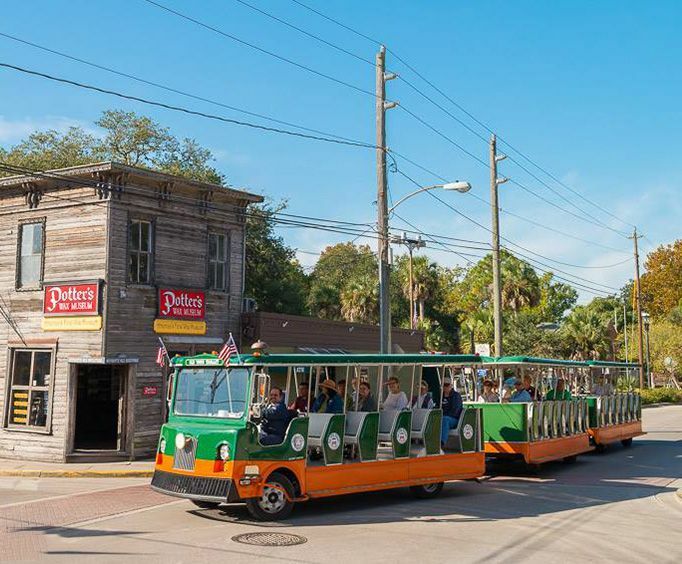 Trolley tickets also grant free admission to the St&period; Augustine History Museum and free beach shuttle to Alligator Farm, the Lighthouse Museum, and the beach. 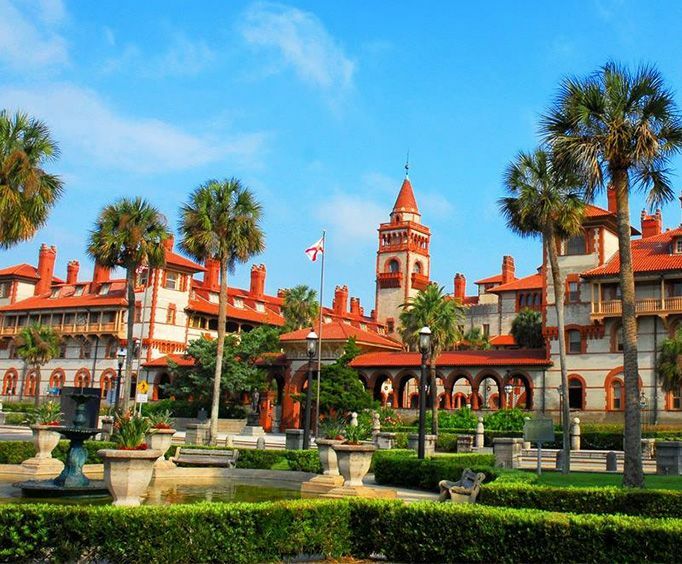 This is a touring deal that can't be beat when visiting St&period; Augustine. Tours depart from boarding locations approximately every 15-20 minutes. Free parking is available at the old jail. Discounted parking for trolley guests is available at the Welcome Center at 27 San Marco Ave and at the Old Drugstore at 31 Orange St. The tour showed the best of st. Augustine. We plan to come back to see more. You can not see it all in one day. I would say this is the best way to see st. Augustine. The tour guides are extremely knowledgeable and friendly. A must for st augustine visitors. I likes that your trolley tour tickets lasted 3 days, and they went everywhere! We saw everything in st augustine and learned a lot we didn't know about the city from the informed guides! Plus it was just fun to ride the trolly! Our whole family enjoyed it, even when it poured rain and they handed out ponchos!